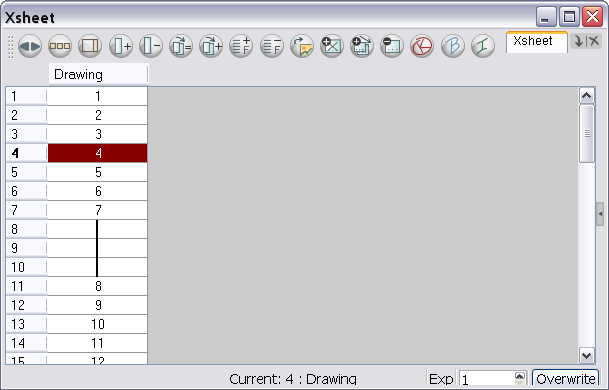 The Xsheet view has two sections. Only the main section is visible by default. It displays the drawing columns. When using advanced compositing and animation techniques, unconnected functions (motion paths) also appear in the main section. Unconnected functions mean that some motion paths are not attached to any particular layer. 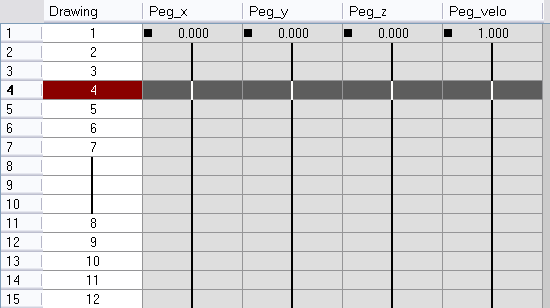 When you reconnect functions to a layer they are still visible in the main section.